In the wake of September 11, 2001, the United States launched an offensive in Afghanistan on October 7, 2001; as most of you are likely aware, there are still over 10,000 American servicemen and women in that country. Then on March 20, 2003, another campaign began in Iraq and continued officially until Sunday, December 18, 2011. Both conflicts can are (were) protracted and unorthodox, especially when you consider that majority of injuries sustained by troops (both mental and physical) occurred after the initial assaults in the region. Improvised explosive devices, or IEDs, are a part of the American lexicon after more than seventeen years of combat; roadside bombs are responsible for a significant number of veterans’ disabilities. In 2016, 675,000 veterans of the wars in Iraq and Afghanistan had been granted disability, according to PBS. A disability status can arise from both physical and mental injury, such as post-traumatic stress disorder (PTSD). The condition occurs in about 11-20% of Veterans of the Iraq and Afghanistan wars. Upon discharge from the military, many veterans are unable to hold down steady employment due to the scars, visible or not, of service. Such individuals are in most cases eligible for benefits programs through Veterans Affairs and the Social Security Administration. However, qualifying for support from one agency does not guarantee the same treatment from the other. Service men and women who sustain injuries will want to have as much support as possible. Many such people have families to think about, spouses and children who rely on them in life. Those in need of assistance should be made aware that the SSA’s programs, processes, and criteria for receiving benefits differ from that of the VA. The administration points out on its website that just because a veteran has a VA compensation rating of 100% permanent and total (P&T), does not guarantee they will receive Social Security disability benefits. You must be unable to do substantial work because of your medical condition(s). Your medical condition(s) must have lasted, or be expected to last, at least one year or to result in death. In most cases, the administration will identify veterans with VA compensation rating of 100% P&T to expedite the application process; but, it is important that applicants double-check to ensure there isn’t an oversight. It is also worth noting that VA compensation will not affect your Social Security benefits. 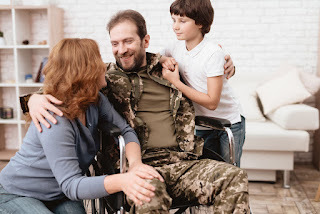 If you are a veteran and the SSA denied your application for SSI or SSDI, or you are applying for benefits for the first time, The Driscoll Law Corporation can help. Attorney Stephanie Merritt Driscoll can help you or a loved one appeal the SSA’s decision and get the benefits you require. Please contact our office today. Approximately 10,000 Americans attain age 65 each day, according to Justice in Aging, a national non-profit legal advocacy organization that fights senior poverty through law. Last month, the “Elder Poverty Relief Act” was introduced in the Senate by Ron Wyden, D-Ore., along with Finance Committee members Sens. Sherrod Brown, D-Ohio, and Bob Casey, D-Penn. The legislation would increase earned benefits for people on Social Security or Supplemental Security Income (SSI), according to KTVZ. If the measure garners approval, it could help many vulnerable Americans out of poverty and improve overall life quality. The legislation, according to the report, has the support of the Gray Panthers, Justice in Aging, the National Committee to Preserve Social Security and Medicare, Social Security Works, and the Strengthen Social Security Coalition. Social Security beneficiaries age 82 or older and SSI recipients at the full retirement age (currently age 66, increasing to age 67). Social Security and SSI recipients who have received benefits for 20 years. 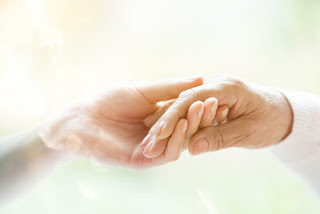 Over time the benefit will increase; the Social Security Administration estimates that the Elder Poverty Relief Act would help 420,000 seniors out of poverty by 2030, the article reports. Around one out of every 10 seniors lives in poverty; 20 percent of seniors have zero retirement savings. If the SSA denied your application for Supplemental Security Income (SSI), or you are applying for benefits for the first time, The Driscoll Law Corporation can help. Attorney Stephanie Merritt Driscoll can help you or a loved one appeal the SSA’s decision and get the benefits you require. Please contact our office today.